The story is set in a kingdom that was protected by the world’s last magical crystal until it was stolen. Now it’s up to Prince Noctis and his buddies to get the gem back. Crystals are a “Final Fantasy” mainstay, but “FFXV” updates the formula with cars, contemporary environments and even Coleman-branded camping gear. Whenever main-entry “Final Fantasy” games are released, it’s a big deal. Since this one has taken 10 years to surface it’s a bigger deal than most. Slated for release last September, it was pushed back to later this month to ensure fewer glitches and bugs. Though a recent Japan-only demo was still a bit buggy — which is expected in such a large, expansive title — no doubt maker Square Enix will be able to iron them out in future updates and patches. “FFXV” will be out Nov. 29 on the PS4 and Xbox One. 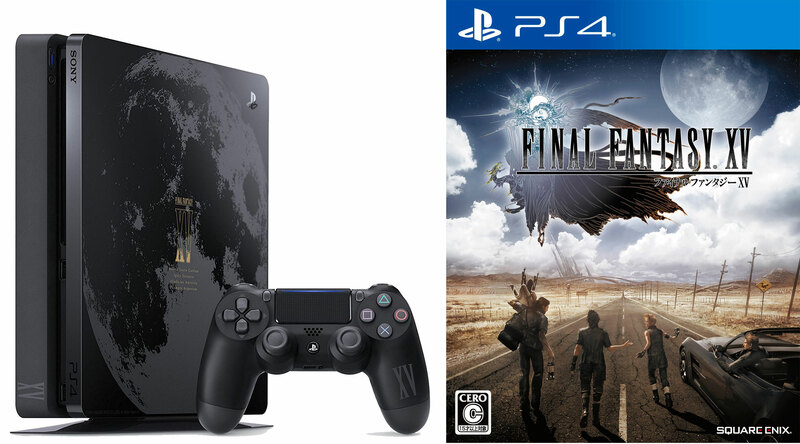 The standalone version is ¥9,504, while more expensive deluxe and collector’s editions will also be available. 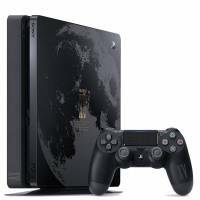 To celebrate the release, Sony is also launching a special “Luna Edition” “FFXV” PlayStation 4 branded with a giant moon on and complete with a controller that reads “XV.” Priced at ¥43,178, the console is bundled with the game. Another long overdue game is “The Last Guardian.” First announced in 2007, this Sony game’s debut trailer didn’t even hit the screens until 2009. Since then, development has hit snags along the way, with its creator Fumito Ueda leaving Sony as a company employee, but staying on to finish the game. Ueda also created “Ico” and “Shadow of the Colossus,” two wonderful PlayStation-exclusive titles that were filled with interesting gameplay and emotional scenes. Like Ueda’s other games, “The Last Guardian” looks to be beautiful and moving. Players control a young boy who, with the help of a large bird-like dog creature called Trico, must escape from a series of locked dungeons. At first it’s not easy, because initially Trico, like a real animal, is sometimes bad at listening and won’t always do what you want. But as your relationship deepens, he becomes more and more responsive and he will often be the only one who can save your life. 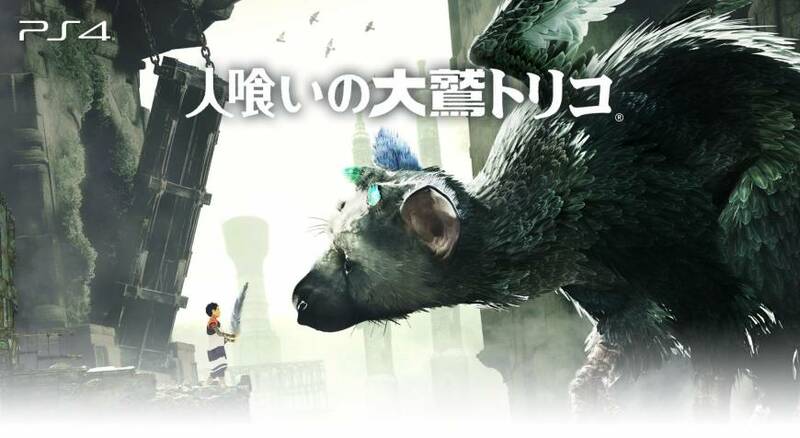 “The Last Guardian” will be released packaged and for download on Dec. 6 for ¥7,452. The newest “Ryu ga Gotoku” game looks to be the biggest one yet. Localized as in the West as “Yakuza,” it poses the player, once again, as gangster Kazuma Kiryu, who goes around town pounding the crap out of people. The combat and cutscenes in the “Ryu ga Gotoku” games are always great fun, and this latest installment doesn’t look to disappoint. There are also new twists. For example, now you can also destroy a konbini (convenience store). As with previous games, there is an array of in-game hostesses to chat up, but now webcam girls have also been added. The biggest difference, between “Ryu ga Gotoku 6” and others, though, is that this is slated to be the last entry in the Kazuma Kiryu saga. 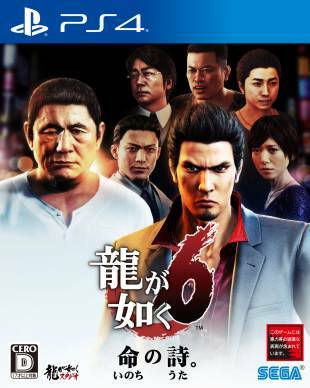 Perhaps this is why “Ryu ga Gotoku 6” features some of the biggest names in the Japanese entertainment industry, including Beat Takeshi as an in-game character alongside actors such as Nao Omori (“Ichi the Killer”), Yoko Maki (“The Grudge”), Shun Oguri (“Uchu Kyodai”) and comedian Hiroyuki Miyasako. Priced at ¥8,845, “Ryu ga Gotoku 6” will be released exclusively on the PS4 on Dec. 8.